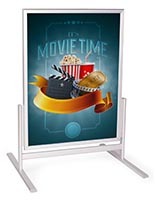 This mobile promotional sign comes with four wheels on the bottom of the sandwich board that can lock in place for static advertising. 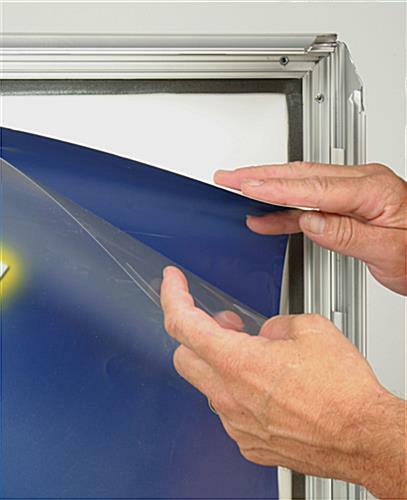 The poster display is double-sided and presents 22” x 28” graphics for easy viewing. 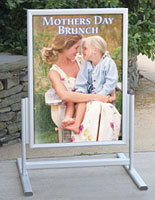 The promotional sign with silver aluminum construction is made for indoor use. 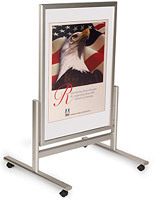 The business stand is outfitted with snap frames that make changing out store graphics quick and easy. 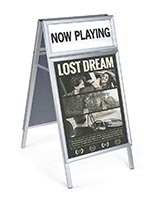 The sign is designed for indoor used as long as casters are in place on the sandwich boards, but can be used outdoors when feet are installed instead of wheels. 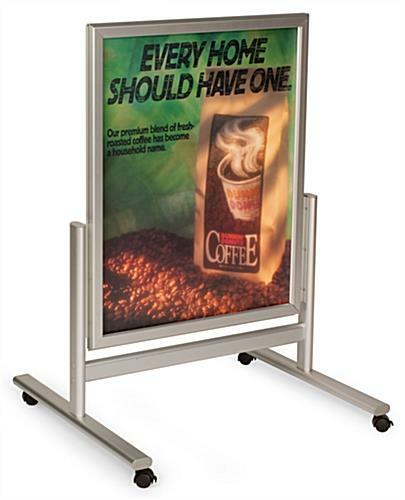 The business display stand uses PVC covers for posters that help to reduce the glare from lighting and also keep out dirt and dust.